Michigan agriculture groups hope the thaw in U.S.-Cuban relations may open up a new market, but many obstacles to increased trade remain in addition to the embargo. U.S. Secretary of Agriculture Tom Vilsack toured farms in Cuba last year. He says he's impressed with what Cuban farmers have been able to produce given their limited access to technology, machinery and other inputs, but they have a long way to go. "I think the word I would use to describe Cuban agriculture is very basic and rudimentary," says Vilsack. "For American producers it would be like going back in time to the 1930s and 1940s in this country, which is one of the reasons Cuba imports 80% of its food." Although Cuba has large-scale tobacco and sugar cane farms, most of its more typical food-producing farms are small. If a farmer is lucky enough to have a tractor, it's likely to be at least 30 years old. Many other farmers till their fields with oxen, or even by hand. Pesticides and herbicides are very expensive - so by default many farms are raising crops organically. Vilsack says that actually represents an opportunity. "Their land could be well suited for organic production, of organic fruits and vegetables," he says, "of which there is an increasingly large demand here in the U.S. and around the world." And, in return, Vilsack says, American farmers could sell more rice, black beans, milk, and poultry to Cuba's centralized government, which has long struggled to feed its people, even after the so-called "Special period" of privatization when the Soviet Union collapsed in 1989, along with its support of Cuba. Cuban agriculture experts told us this sounds like a fine plan. But increasing yields on the country's 200,000 small farms to produce local crops for Cubans and tourists has to come first. Something that could help in the near future is the U.S. government's approval of the first American-built factory on Cuban soil in more than sixty years. CleBer is a joint venture, established in 2015 by Cuban native Saul Berenthal and U.S. businessman Horace Clemmons, to provide simple, cost effective tractors to Cuban farmers. 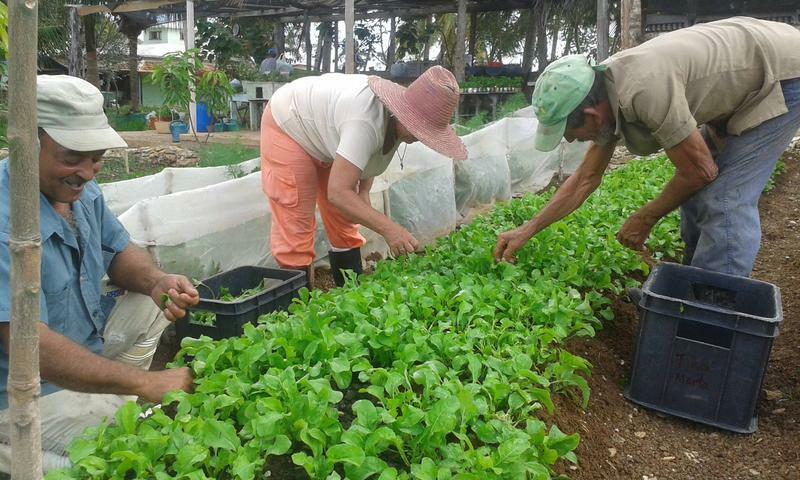 The group hopes greater efficiency in farming the land will allow today’s field workers to become part of tomorrow’s supply chain in distributing Cuban-grown agriculture to a wider geographic area. Tractor production is scheduled to begin in late 2016 or early 2017. Meanwhile, the uncertainty hasn't deterred U.S. agriculture groups from sending out scouts, like Jim Byrum of the Michigan Agribusiness Association. As he knows well, a staple of the Cuban diet is black beans, and "we grow more black beans in Michigan than any state in the union. Currently Cuba's buying them from South America or China, and we think it makes more sense for them to look here." Still, Byrum is a realist. 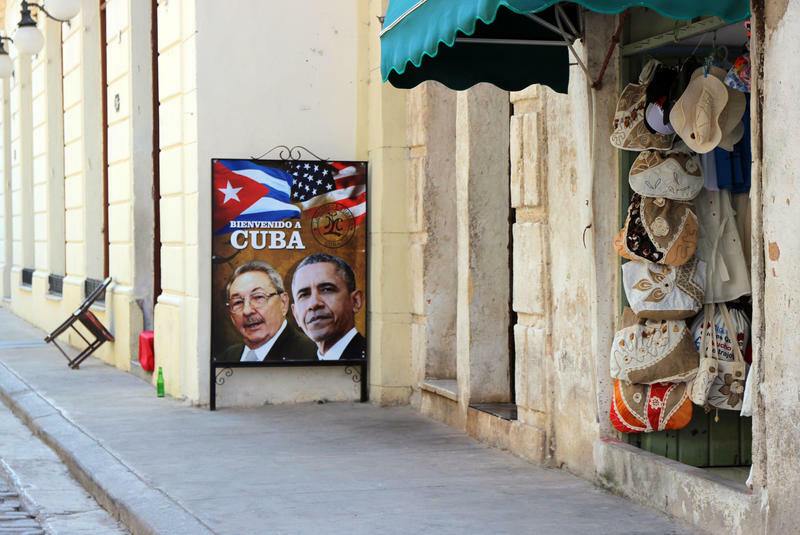 He says trade with Cuba is often stymied by the embargo, which doesn't permit the country to buy U.S. goods on credit. And he says Americans shouldn't expect Cuba to open its wallet unilaterally. "It needs to be a two-way street, it's not just sell, sell, sell," says Byrum, "because they don't have a lot of money, money, money." While political resistance to lifting the embargo remains, Agriculture secretary Tom Vilsack sees it being chipped away every day. "And particularly agriculture's leading the effort because we see the wisdom of doing business with the Cubans, so I think it's just a matter of time," Vilsack said. Cubans are especially eager for an end to the embargo. It's hoped that will mean more food on their own tables, as well as on the plates of tourists. Correction: The original story said U.S. Secretary of Agriculture Tom Vilsack was "not impressed" with the state of Cuban agriculture, because it is "basic and rudimentary." A spokeswoman for Vilsack says he was actually very impressed with what Cuban farmers have been able to produce given their limited access to technology, machinery and other inputs, but he acknowledges they have a long way to go. *This post was last updated at 12:15 p.m. on April, 28, 2016. President Barack Obama's trip to Cuba last month was a major milestone in the thawing of relations between Washington and Havana. It was the first visit to Cuba by a sitting president in over 85 years. This ongoing thaw has many people wondering what's ahead for the island and its people. 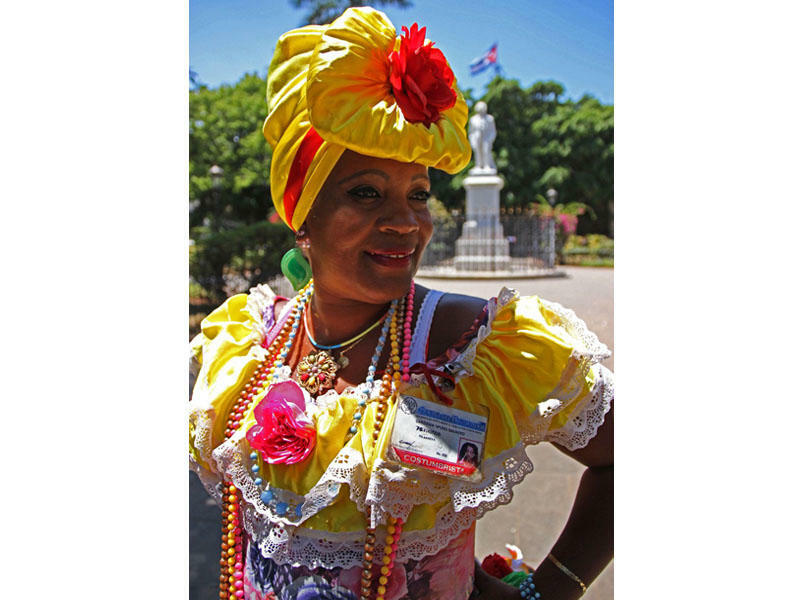 PURE CUBA: Reporter's notebook 5, "The Americans are coming! The Americans are coming!" 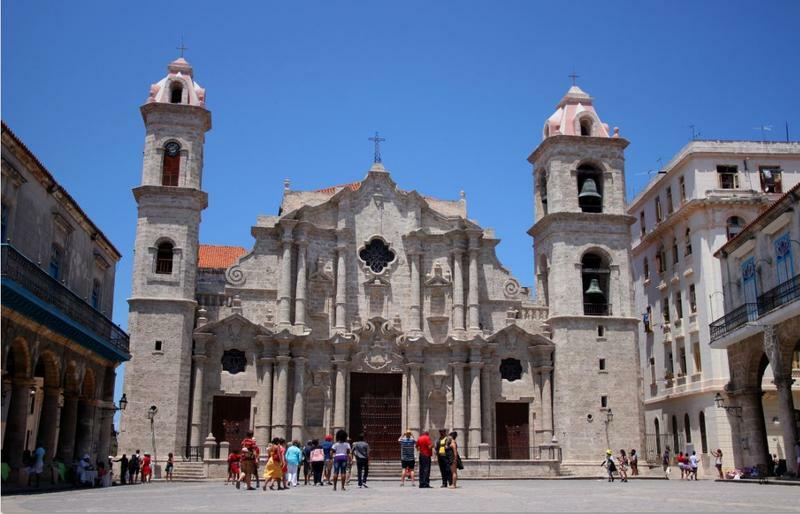 Tourism has exploded in Cuba since the Obama administration announced a resumption of diplomatic relations with the country in 2014. Danilo Gomez is a law professor and, as is very common in Havana, is also employed in the tourist industry. He moonlights as a tour guide. Gomez says tourism has nearly doubled since the thaw in U.S.-Cuban relations, because Westerners want to see Cuba “before the Americans ruin it.” A million people a year used to visit Cuba, he says. Now it’s close to two million. Resourceful does not even begin to describe Cubans. There is not enough of anything in Cuba – food, money, freedom. So they make the most of what they have. They call it “luchando,” which means fighting the good fight, managing despite long odds. 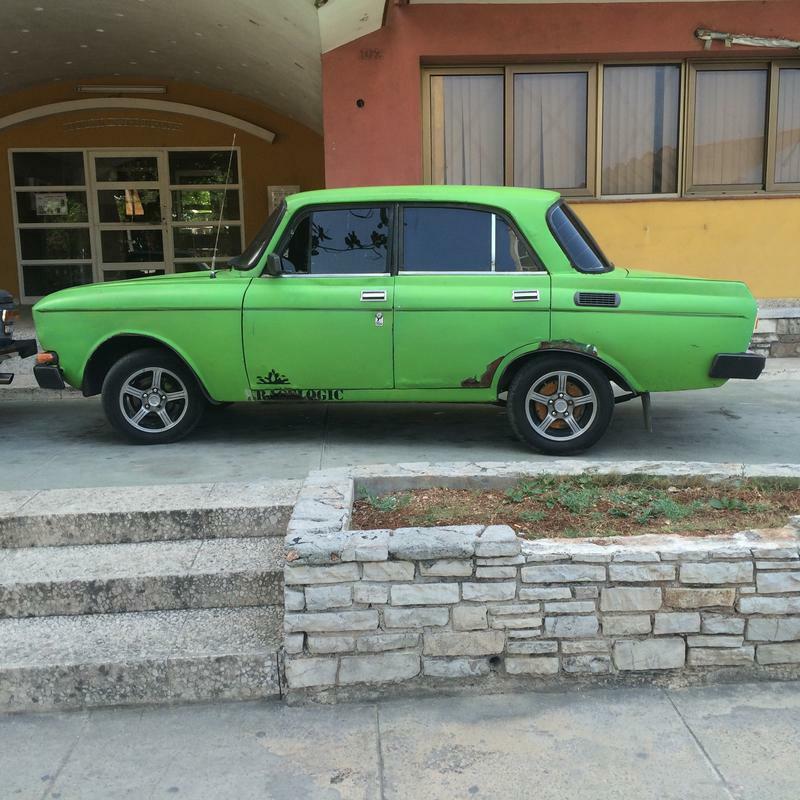 Individual Cubans can sell you just about anything more cheaply than the Cuban government can. Mercedes Mejia and I have been in Cuba for four days, long enough to have ridden a bus, taken a shared taxi, used the local currency, interviewed many Cubans, eaten some quite good meals, and formed a few impressions. Here are a few of mine. Everybody, no matter how brave their character, agrees one must not drink the tap water in Cuba. It is treated with chemicals, but I’m told it still has microbes that an American stomach would find most objectionable. 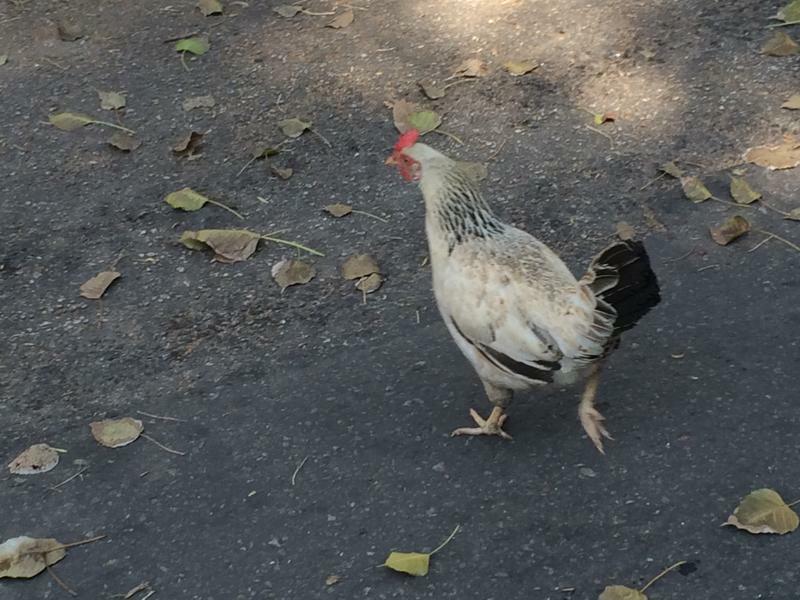 I was still getting my bearings after arriving in Havana, when I spotted a chicken wandering the street. Nobody was chasing it with a frying pan. It seemed sure of itself, as if it considered itself no different from the human passersby. When President Obama announced a resumption of diplomatic relations between the U.S. and Cuba in the fall of 2014, we kept our eyes and ears open for possible Michigan-Cuban stories to tell. It didn’t take long to discover there are quite a few. The Michigan Agribusiness Association has been wooing Cuban officials for years now, hoping to sell Michigan-grown produce in a new market. You want black beans, Cuba? We got your black beans in Michigan. Cuba’s heralded health care system has been mobilized to stop the Zika virus from gaining a foothold in the country, and so far, the campaign appears to be a success. The virus is spread by Aedes Aegypti, the same species of mosquito that spreads dengue, a painful and often debilitating illness. Cuban officials have ordered mandatory fumigation of every apartment and house to kill the mosquitos. Our own apartment in Havana was fumigated today.